Become a Premium Member to access the ultimate grants database Thousands of funding opportunities from around the world. receive Regular Grant Updates, develop New Skills for Resource Mobilization, and more! Latest updates on grant opportunities, sample proposals and more. 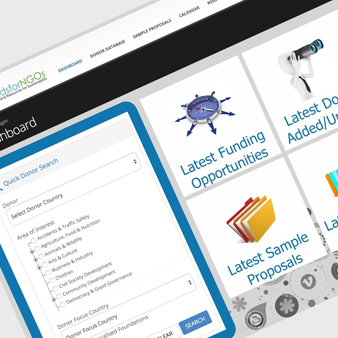 A customized funding calendar summarizing the latest grants opportunities in an easy-to-use/user friendly layout. A dedicated Premium Customer Support Team committed to your success. Fundraising is not a one-time endeavor. It is a continuous process that we support with regular updates and new features through our Premium Service. 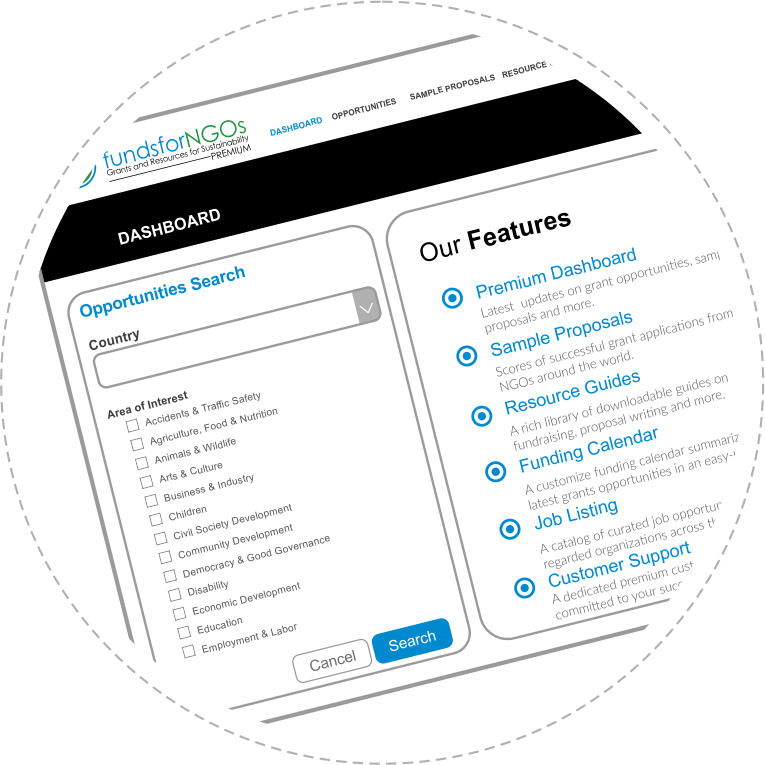 fundsforNGOs Premium can help you find grants, learn new skills and build your capacity efficiently in less time and at low cost. Premium members are the first to receive email alerts on the latest funding opportunities and can act early on calls for proposals. Members also receive a monthly email newsletter with tips, announcements and tools.